Washington (CNN) - Congress is just like everyone else. That's the message the National Security Agency has for Sen. Bernie Sanders. The response goes on to promise the agency will continue to work with Congress on the issues - without ever addressing the senator's real question. Sanders defines "spying" in his letter as "gathering metadata on calls made from official or personal phones, content from websites visited or e-mails sent, or collecting any other data from a third party not made available to the general public in the regular course of business." The NSA would say nothing more, except that it is further reviewing the letter. 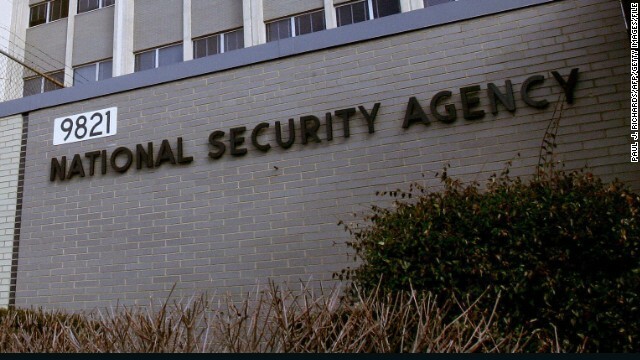 "We will continue to work to ensure that all Members of Congress, including Sen. Sanders, have information about NSA's mission, authorities, and programs to fully inform the discharge of their duties," read the statement. Attorney General Eric Holder similarly deflected answering the same question at a congressional hearing last summer, telling Sen. Mark Kirk, R-Illinois, that the NSA had no "intent" to spy on Congress, but the issue was better discussed in private. The intelligence community has faced heated criticism from the right and left in 2013 after Edward Snowden's leaks, and the intensity has continued fiercely in 2014. On Thursday, the New York Times and the Guardian published scathing editorials that slammed the "violations" Snowden's leaks revealed and advocated a presidential pardon for him. Among those charges was the notion that James Clapper Jr., the director of National Intelligence, lied to Congress while testifying last March that the NSA was not collecting data on millions of Americans. National Intelligence was quick to push back, with a letter to the editor from by general counsel Robert Litt, published in the New York Times on Saturday. "As a witness to the relevant events and a participant in them, I know that allegation is not true," writes Litt, explaining that Clapper misunderstood the question, but couldn't publicly correct his mistake "because the program involved was classified." "This incident shows the difficulty of discussing classified information in an unclassified setting and the danger of inferring a person's state of mind from extemporaneous answers given under pressure." Litt said that Clapper was "surprised and distressed" when he was informed by staff that he gave a misleading answer after the testimony. –CNN's Evan Perez contributed to this report. If you are concerned about the NSA spying, then you shouldn't be using Google or Facebook. Those companies represent a bigger threat to our privacy than the NSA. I recommend using privacy-based sites such as Ravetree, HushMail, and DuckDuckGo. Let's not forget the Supremes. I'm sure there's a tie to getting ACA being stamped constitutional by one of the most rigid conservatives on the bench. Of course they are, me and my team authorized it if they promised to never spy on me in the shower where I do all my dirty work and come out smelling clean every time.